Han-earl Park (박한얼) has been using the same bio for four and a half years. Improviser, guitarist and constructor Han-earl Park (박한얼) (www.busterandfriends.com) crosses borders and performs fuzzily idiomatic, on occasion experimental, always traditional, open improvised musics. Ensembles include Mathilde 253 with Charles Hayward and Ian Smith, Eris 136199 with Nick Didkovsky and Catherine Sikora, and Numbers with Richard Barrett. Improviser, guitarist and constructor Han-earl Park (박한얼) (www.busterandfriends.com), crossing borders and performing fuzzily idiomatic, on occasion experimental, always traditional, open improvised musics, has performed across Europe and the USA. Ensembles include Mathilde 253 with Charles Hayward and Ian Smith, Eris 136199 with Nick Didkovsky and Catherine Sikora, and Numbers with Richard Barrett. Park is the constructor of the machine improviser io 0.0.1 beta++, and of Metis 9, a playbook of improvisative tactics. He has performed with Wadada Leo Smith, Paul Dunmall, Evan Parker, Mark Sanders, Josh Sinton, Gino Robair, Tim Perkis and Franziska Schroeder. 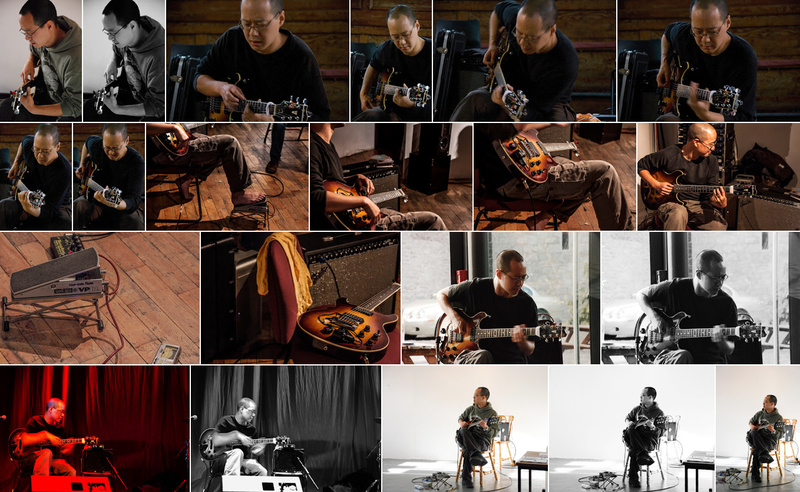 Improviser, guitarist and constructor Han-earl Park (박한얼) (www.busterandfriends.com) has been crossing borders and performing fuzzily idiomatic, on occasion experimental, always traditional, open improvised musics for twenty years. He has performed in clubs, theaters, art galleries, concert halls, and (ad-hoc) alternative spaces across Europe and the USA. Ensembles include Mathilde 253 with Charles Hayward and Ian Smith, Eris 136199 with Nick Didkovsky and Catherine Sikora, and Numbers with Richard Barrett. Park is the constructor of the machine improviser io 0.0.1 beta++, and instigator of Metis 9, a playbook of improvisative tactics. He has performed with Wadada Leo Smith, Paul Dunmall, Evan Parker, Lol Coxhill, Mark Sanders, Josh Sinton, Louise Dam Eckardt Jensen, Gino Robair, Tim Perkis, Andrew Drury, Pat Thomas and Franziska Schroeder, and as part of large ensembles led by Wadada Leo Smith, Evan Parker and Pauline Oliveros. His recordings have been released by labels including Slam Productions, Creative Sources and DUNS Limited Edition. Download press/publicity images from goo.gl/photos/E5bJLD6ris5ixVPUA. All photographs copyright the photographers. The photographer must be credited with any image usage unless an explicit alternative agreement is made with the photographer. “Pleasures? Physical: corporeal-technical problematics—how your body and guitar interface in the context of physics, physiology and luthiery. “Cultural: its unstable presence between rhythm section and lead instrument in terms of orchestration, ensemble social dynamics and audience perception. “Idiom, tradition, identity, history (personal or collective) are things that I value. I tend not to subscribe to the vanilla notion of a pure, non-idiomatic state. I value the meeting: I want to know who you are, who I am, and that fascinating stuff is when those things collide—what we have in common, and what separates us. Border crossings are always fascinating; full of contradictions and (potential) misunderstandings….